We’ve recently partnered with InsightSquared, an innovative Sales & Marketing Analytics product that makes sales reporting seamless. Their product provides an out of the box way to get actionable Business Intelligence out of the information that is already located in your Salesforce. It is easy to use and allows you to expand on Salesforce’s reporting capabilities. InsightSquared allows you to dissect your Sales and Marketing operations to locate patterns, problem areas, successes, and much more in your sales/marketing process and execution. We believe it is a helpful tool for sales managers as it provides a deeper analysis of your team’s productivity. InsightSquared’s module, “Sales Essentials”, focuses on answering some of the most common sales questions businesses have a tough time answering in Salesforce. If you are running Salesforce Reports and then exporting them to Excel to get meaningful information, “Sales Essentials” is a great solution to help save you time and provide you with the reports you need. 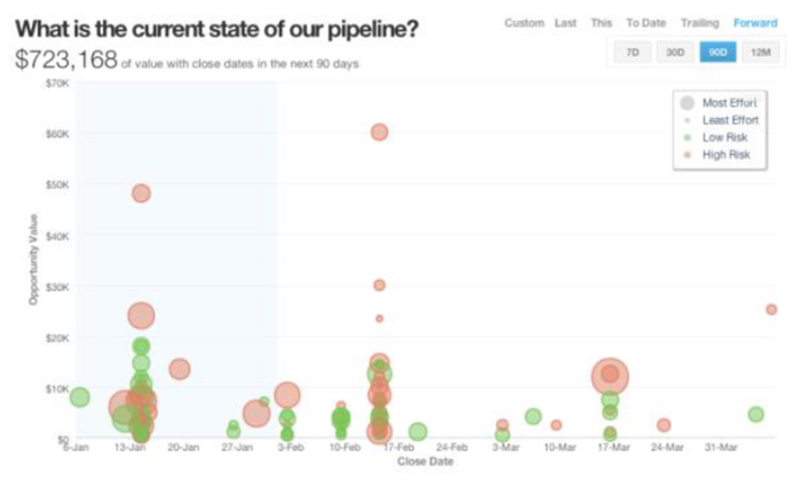 – All Salesforce reports are in (almost) real time, so if you wanted to see how many open vs. closed opportunities you had last month, you could not get that data unless you had exported a report or dashboard at that time. “Sales Essentials” allows you to filter by time frame so you can retroactively pull up historical information. – With “Sales Essentials”, you are able to filter opportunities by sales rep. You can then view detailed reports on the sales rep’s lead conversion rate based on factors such as sale size, time spent on a sale, and more. With this information, you can see which areas your sales reps need coaching in, and where they excel. – “Sales Essentials” takes historical data into account when forecasting your current sales. 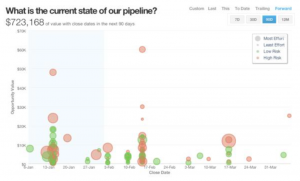 Typically, sales forecasting is based off of the sale’s rep intuition, but with Sales Essentials, you can take historical patterns into account, giving you a better insight into your pipeline. – “Sales Essentials” shows you which of your opportunities are at risk. With this information, your sales reps can see where they should be spending their time, helping them increase their win rate. – It is important for sales reps and sales managers to see and analyze the same information, and “Sales Essentials” provides users with the same information so that all parties involved can be on the same page. StarrForce creates and support Salesforce solutions that allow our clients to take more effective action. If you would like information on the services we offer call us at (888) 391-4493 x103.